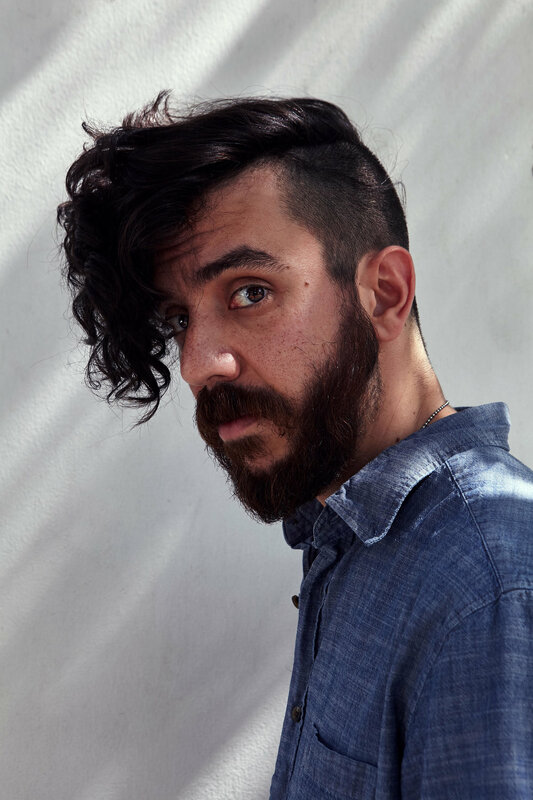 Kaveh Akbar’s poems appear recently in The New Yorker, Poetry, The New York Times, The Nation, Tin House, Best American Poetry, The New Republic, The Guardian, Ploughshares, PBS NewsHour, American Poetry Review, The Poetry Review, and elsewhere. His debut full-length collection, Calling a Wolf a Wolf, is just out with Alice James in the US and Penguin in the UK, and his chapbook, Portrait of the Alcoholic, was published by Sibling Rivalry Press. The recipient of honors including Forward Prize finalist, Ruth Lilly and Dorothy Sargent Rosenberg Fellowship from the Poetry Foundation, a Pushcart Prize, the Levis Reading Prize, and a Lucille Medwick Memorial Award from the Poetry Society of America, Kaveh was born in Tehran, Iran, and currently teaches at Purdue University and in the low residency MFA programs at Randolph College and Warren Wilson. Kaveh founded Divedapper, a home for dialogues with the most vital voices in American poetry. With Sarah Kay and Claire Schwartz, he writes a weekly column for the Paris Review called "Poetry RX." Previously, he ran The Quirk, a for-charity print literary journal. He has also served as Poetry Editor for BOOTH and Book Reviews Editor for the Southeast Review. Along with Gabrielle Calvocoressi, francine j. harris, and Jonathan Farmer, he starred on All Up in Your Ears, a monthly poetry podcast.